Railways is planning to seal stations just like airports and passengers would have to arrive 15-20 minutes before scheduled departure of trains to complete the process of security checks. 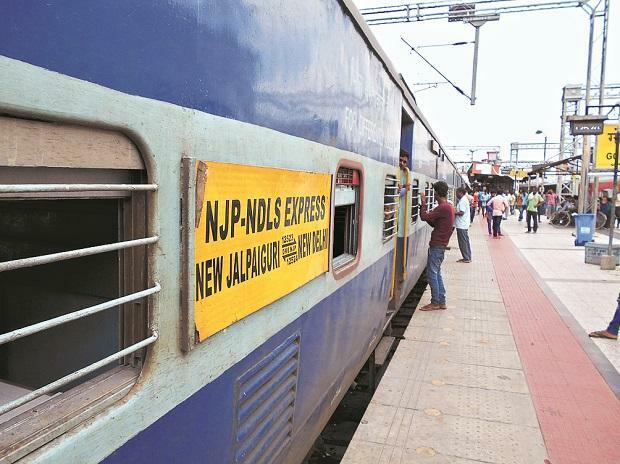 The security plan - with high end technology - has already been put in motion at Allahabad, in anticipation of the Kumbh Mela which begins this month and at Hoobly railway station in Karnataka with a blueprint for 202 more stations ready for implementation, Railway Protection Force Director General Arun Kumar told PTI. "The plan is to seal the railway stations. It is primarily about identifying openings and to determine how many can be closed. There are areas which will be closed through permanent boundary walls, others will be manned by RPF personnel and yet others will have collapsible gates. "At each entry point there will be random security checks. However, unlike at airports, passengers need not come hours in advance, but just 15-20 minutes ahead of their departure times to ensure that they are not delayed because of the security process," he said. Kumar said that while security will increase, presence of security personnel will not. "If we are inventing in technology, then manpower requirement will reduce," he said. These steps are a part of a security plan under the Integrated Security System (ISS) which was approved in 2016 to strengthen surveillance mechanism at 202 railway stations. The ISS will comprise CCTV cameras, access control, personal and baggage screening system and bomb detection and disposal system which together provide multiple checking of passengers and baggage from the point of entry in the station premises till boarding of train. The anticipated cost of the ISS project stands at Rs 385.06 crore. "The security plan envisages a layered security check where passengers will be scrutinised even before they enter the station premises to ease the pressure at stations during peak hours," Kumar said. It will also include real-time face recognition software which will alert the RPF command centre of any known offenders. Passengers will be checked randomly - every eighth or ninth passenger will undergo the process on his arrival at the station," he said.